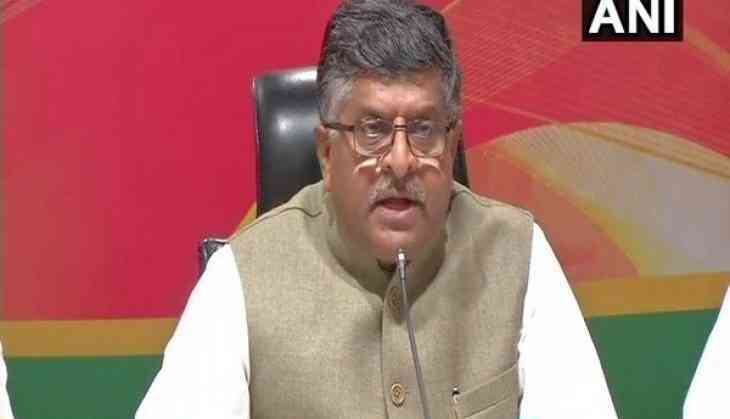 Union minister for electronics and IT Ravi Shankar Prasad on Thursday upped the ante against the Congress over its alleged links with the British data analytics company Cambridge Analytica, which is under fire over data breach storm. Addressing a press briefing here Prasad said that the Congress party has maintained conspicuous silence on their ties with Cambridge Analytica. "The Congress has maintained conspicuous silence (on their ties with Cambridge Analytica)," he said. He also alleged that Congress president Rahul Gandhi's social media campaign has also been managed with the help of Cambridge Analytica. "Rahul Gandhi's entire social media campaign has been managed with the help of Cambridge Analytica and they have had meetings also," he added. The Union Minister's remark comes after Britain's Channel 4 alleged that the London-based data analytics firm harvested private data of Facebook users to influence elections in several countries including US presidential elections. Soon after the controversy over Cambridge Analytica's association with Indian political parties broke-out, BJP and Congress accused each other of availing of its services for electoral campaigns. However, Congress has been refuting the charges, saying that neither the party nor Rahul used the services of Cambridge Analytica.